You’ve sorted out your own protection, but what are your competitors up to? 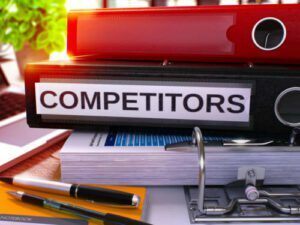 Not only should you be aware of third-party intellectual property rights to avoid legal problems, but your competitors’ filings could yield valuable intelligence as to their plans in the next few years. We can carry out searching across a range of free and commercial databases to make sure you are well informed as to the IP landscape within which you operate. Some of our clients like to monitor particular competitors on an ongoing basis. We can either provide this service for you, or in some cases it is more cost-effective for us to provide training and guidance on the online tools available to enable this work to be carried out by your own in-house staff. If one of your competitors has a patent or registered design which is blocking your business, we can advise you on the options for attacking that right and hopefully getting it revoked. If you want to find out more about patent revocation, download our free guide. You can also contact us to discuss your particular requirements in complete confidence. We acted for a major UK retail brand in a registered design revocation action at the EUIPO against a fashion brand. The registered design was revoked for lack of novelty and the competitor was ordered to pay a good proportion of our client’s legal costs. We acted on behalf of our client to attack a UK patent which had been granted to cover a simple mechanical device in the vehicle industry. By using the UK IPO opinions procedure, we persuaded the senior examiner that the claims lacked novelty, and the patent was subsequently revoked. Search before you set to work designing your Logo and having marketing materials/websites prepared – it is very expensive to re-brand if you discover that you are infringing someone else’s registered rights.